DOS is single-tasking operational system, working in real-time. After startup, the system transfers control to the application program. Created several different versions of DOS, including MS – DOS from Microsoft. 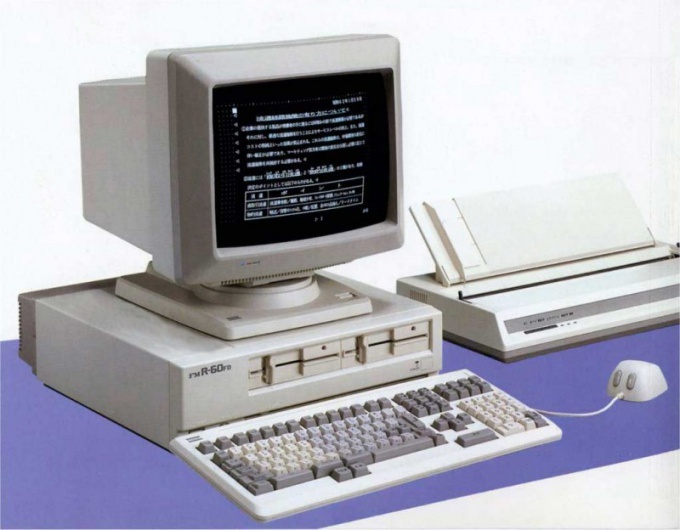 The computer, which is equipped with a floppy drive, you can load MS-DOS, if you assign a boot disk A: (the boot floppy). First you have this floppy to create. Turn on the computer. After Windows starts, insert the floppy disk into the drive and open "My computer". Right click the mouse on the icon "Disk drive 3.5 (A)," call for drop down menu and select the command "Format". Check the box "Create boot disk" and press "Start" to start the process. After formatting the floppy disk will be created by the system and command files are DOS. Unzip the archive and run the file hpusbfw.exe. From the list select FAT32 File System. Check the box Create a DOS start up disk. Click the browse button and specify the path to the unzipped files DOS. Click Start to Start formatting. Then restart the computer. After an initial survey of iron on the screen appears - the BIOS prompt (Basic In/Out System) in the settings: “Press Delete to setup”. Instead of Delete may be specified in another key, depending on the firm's developer BIOS. This is usually F2, F9, or F10. In the settings menu locate the item responsible for the order of loading the operating system. Perhaps he is called the Master Boot Record. This paragraph lists the bootable devices (FDD, CD - DVD-ROM, HDD, USB). With the help of control keys, set the first boot device (FDD, or USB). Press F10 to save configuration and exit menu. To answer “Y”. Insert the floppy disk into the drive or connect a USB flash drive to the USB connector to the computer and booted into DOS. DOS can be emulated on the computer running Windows. To do this, call line run by a combination Win+R and type cmd. You can do otherwise: go to "start" select "Programs", "Accessories" and "Command prompt". In modern versions of Windows no operating system is DOS (Disk Operating System - Disk operating system"), but there is a special component that simulates the DOS commands. This component is called the terminal emulator command line and its capabilities enough to run the programs, but whether they work in the environment of modern operating systems, depends on the specific program. 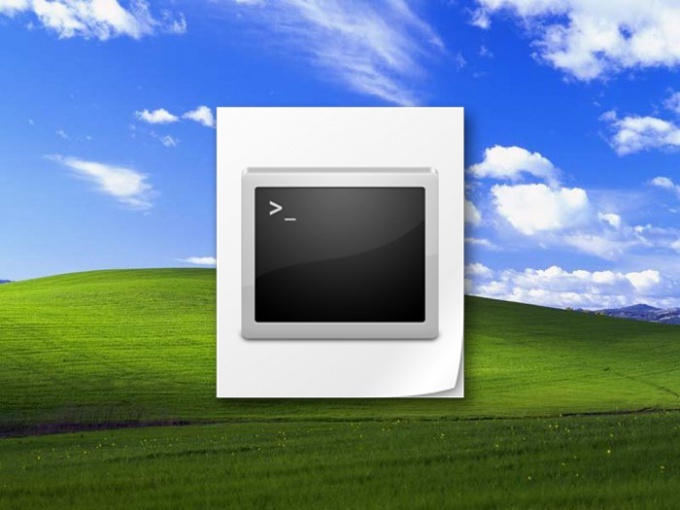 Open a terminal command prompt. You can use the standard run dialog of Windows programs, which opens the select "Run" from the main menu on the "start" button. If your operating system version, this command does not appear in the main menu, use the hotkey combination win + r. In the run dialog type cmd and click OK. The result of the previous step will launch the command line terminal, which is a separate window with white letters on a black background. You can't expand it to full screen, it is in the upper part of the usual menu with a range of features and hotkeys of Windows in it too, do not apply. However, in the context menu by right-clicking the mouse on a black background, there are a few commands. In particular there is present the paste command, which can be useful in the next step. At the prompt, enter the full address of the executable file of the program you want to run. Doing it manually is not always convenient, so you can use the copy and paste. To copy the full path in Windows Explorer - navigate to the folder containing the desired file, then select and copy (ctrl + c) the path in the address bar of file Manager. Then switch back to the terminal command prompt, click anywhere, right click and select in context menu the paste operation. Then append the executable file name using a backslash (\). If your program has a shortcut in the operating system, instead of the Conductor the full address of the file can be copied in its properties. However, copied into the target field value before inserting into the command line will need to be cleaned from the quotes at the beginning and end of the row. Press enter and the DOS emulator will run the software you want. Some computer functions are impossible to do using a full-fledged operating system, whether Windows or Linux. Service procedures, recovery computer often require downloading the old DOS system. One option is the use of a floppy disk. If your computer has a floppy drive, locate a working floppy and create a bootable MS-DOS disk. Insert the floppy 3.5-inch disk into the drive. Open "My computer" and right-click the mouse on the icon marked "drive a:". A menu appears, in which select with the left mouse button the line "Format". Appears format the drive, at the bottom check the box "Create boot drive MS-DOS". Will start the cleaning process all the data from the floppy disk and write DOS files. Wait for the completion message formatting. You can write the floppy disk on any other computer, for example, if yours is not working. Then restart the computer. After the appearance on the screen of the test information about the processor, the number and characteristics of memory, press the Del key to enter the BIOS. 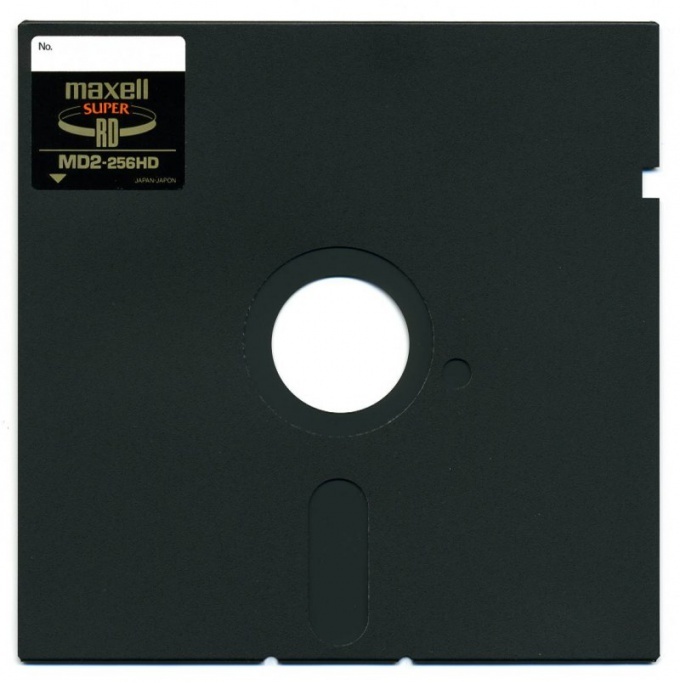 It is necessary to install the floppy boot, by default in most modern systems, this is disabled. Locate the setting Advanced options or Boot sequence in different versions of BIOS, location and name are different. To move use arrows, to enter the options Enter button. Set First Boot Device to the Floppy Drive position. Save the changes to the settings by pressing F10 and then press Enter or Y. the Computer will reboot. Insert the floppy disk with the boot data DOS to the drive. The download starts, you will notice this by the increased noise of the drive for floppy disks. Please note that support optical disc is not, that is considered from a CD or DVD anything will be impossible, as in the usual versions of DOS do not have the necessary drivers. It is also impossible to record or read information from the hard disk, if the file system is NTFS. In most cases it doesn't matter, as with floppy disks, as a rule, pereprodavat BIOS.